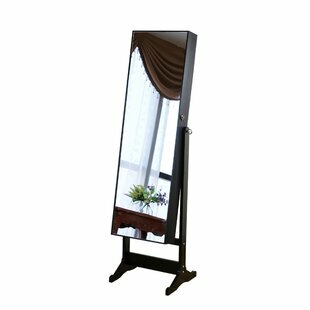 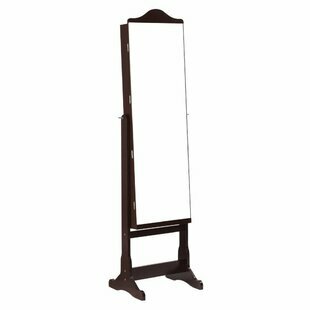 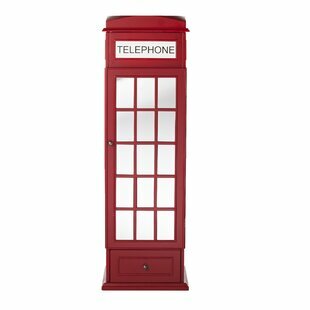 Let your fashion flag fly with this unique Phone Booth Free Standing Jewelry Armoire. 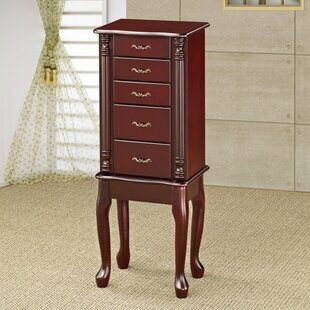 The front compartment opens to reveal six red, felt-lined drawers of varying sizes, descending from small to large, top to bottom. 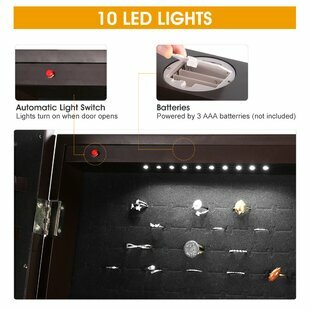 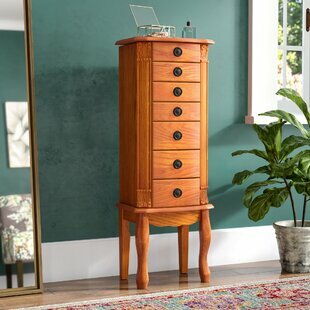 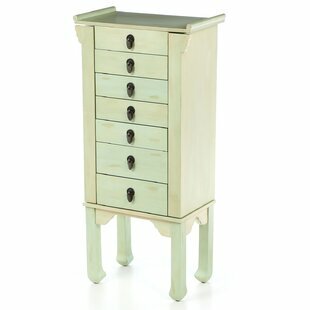 Stunning bronze hardware accents each drawer, while a top compartment keeps necklaces organized and straight. 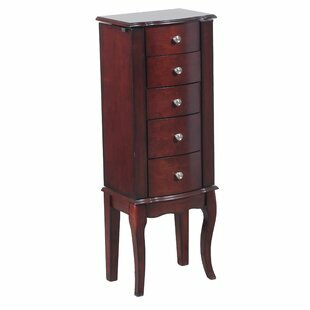 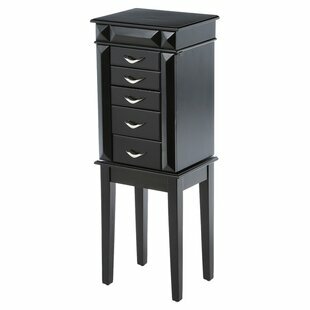 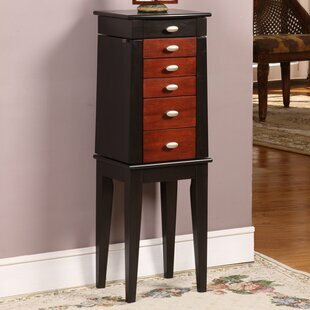 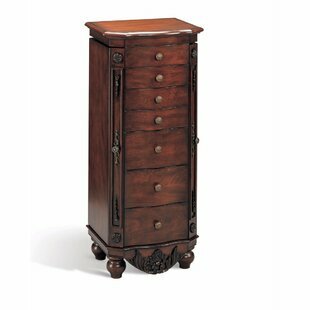 Add a pop of pizzazz when you add this jewelry cabinet to your powder room, dressing area, or bedroom. 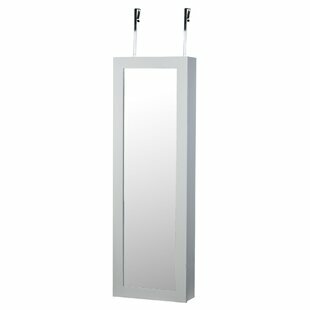 Overall: 46 H x 14.5 W x 14.5 D Overall Product Weight: 64lb.